Scenic rail journeys bring to life the history and wild, natural beauty of Yorkshire and Northumbria on this wonderful eight-day tour. 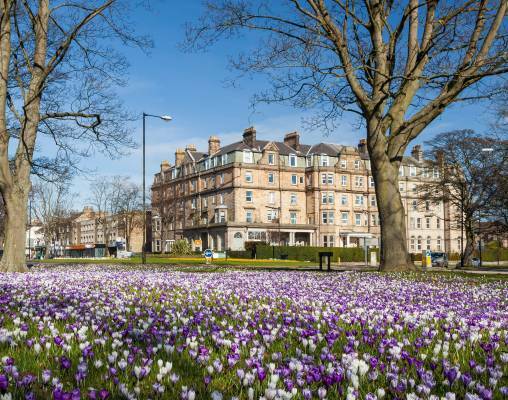 Start your adventure in Harrogate as you travel toward the city of York. Here you will have a guided tour to explore the history of this town that still retains much of its look from the Middle Ages. You then have free time to discover this area on your own. Then travel through the beautiful North York Moors National Park as you head to the seaside town of Whitby, where you can stroll the cobbled streets at your own pace. 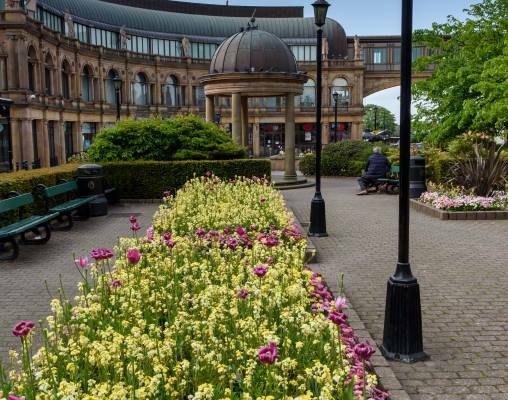 After a day to relax in Harrogate, enjoy one of the top train trips around as you travel on the Settle & Carlisle Line toward Northumberland. You'll have a day to explore the expansive Alnwick Garden, where the architecture is as stunning as the flowers. 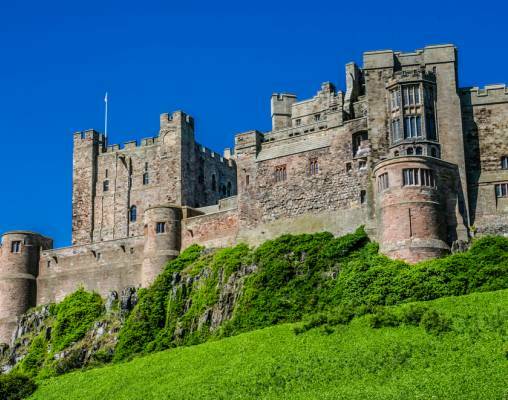 Then it's time for a trip to the famous Bamburgh Castle, a stunning site that rises above the sea with grounds covering nine acres. 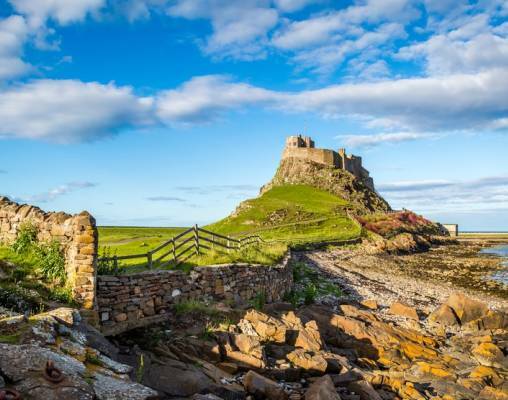 A stop at The Holy Island of Lindisfarne rounds out this trip full of beautiful scenery and amazing architecture. 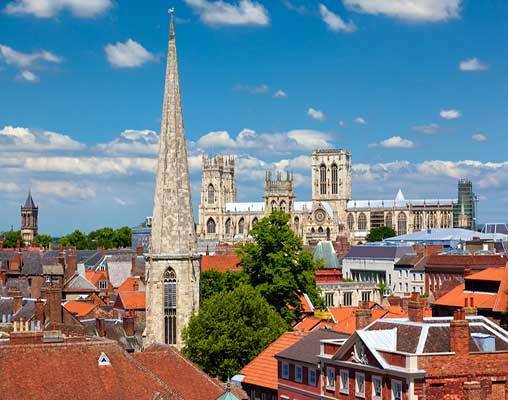 This morning we travel by rail to York, a beautiful walled city steeped in centuries of history. 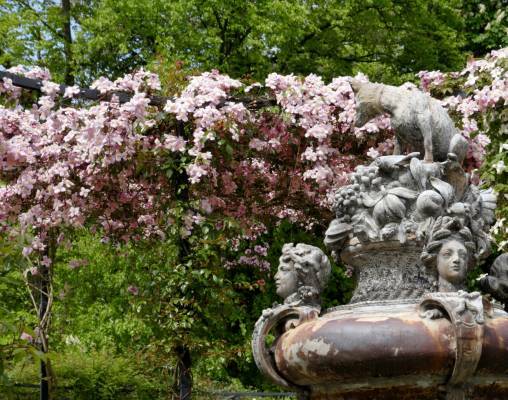 We discover much of the city's long and fascinating story on a guided walking tour of its main attractions. 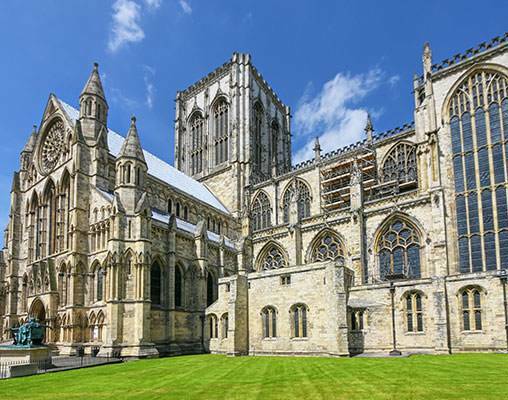 These include the incomparable Minster, which is one of Europe's largest and most ornate gothic cathedrals, and the Shambles, a quaint street that has remained almost unchanged since the Middle Ages. Today we take a nostalgic journey on the North Yorkshire Moors Railroad to the popular seaside town of Whitby. We board our heritage steam-hauled* train in Pickering and make the wonderful journey through the stunning North York Moors National Park. Our route takes us through Goathland, a charming place perhaps best known as 'Aidensfield' in TV's Heartbeat. We pass over undulating moorland and through the winding Esk Valley as we make our way to the coast in restored carriages. Your time in Whitby is free for you to perhaps visit the brooding abbey, explore the town's Dracula connections or simply wander through the maze of narrow cobbled lanes in this authentic fishing port's old town before our return journey on the preserved railroad. Today we cross the wild Northumberland countryside to Bamburgh, a scenic coastal town dominated by the magnificent Bamburgh Castle, before visiting the famous island of Lindisfarme*. The White Swan Hotel is a 300 year old coaching inn set in the heart of the historic town of Alnwick, close to Alnwick Castle and gardens. The hotel has a bar, a bistro and an oak panelled restaurant which features stained glass windows, mirrors and other fixtures and fittings from RMS Olympic, the Titanic's sister ship. The well-appointed rooms feature a telephone, television with DVD player, tea and coffee making facilities and a hairdryer. Operated by Northern Rail, the Hadrian's Wall Line runs across England from Carlisle to Newcastle, following the route of Hadrian's Wall. The remains of the wall itself are not always visible from the train, but the railroad passes through many pretty former Roman towns and villages, and skirts the edge of the beautiful Northumberland National Park - ensuring its continued popularity with tourists. The English county of Yorkshire is famous for its wild, open and unspoilt landscapes and guests who visit the area with us may enjoy a relaxing trip along the North Yorkshire Moors Railroad. Covering a distance of 29 kilometres (18 miles), it is one of the UK's longest heritage railroad lines runs through the beautiful North York Moors National Park, connecting the picturesque market town of Pickering and the village of Grosmont. The railroad first opened in 1836 as the Whitby and Pickering Railroad for the transportation of both goods and passengers to and from Yorkshire's east coast. It continued to run until 1965 when it suffered the same fate as many of the UK's provincial railroads; closure under the recommendation of 1963's notorious Beeching Report. Salvation for the Whitby and Pickering Railroad arrived via an enthusiastic and dedicated preservation society who arranged open weekends and 'steam galas' to fund the re-opening of the line. Their goal was achieved in 1973 and the North Yorkshire Moors Railroad was born. Today, carefully-restored carriages are hauled by diesel and steam locomotives along the picturesque route, which reportedly features one of the oldest railroad tunnels in the world. The iconic Settle to Carlisle Railroad was the last mainline railroad to be built in the UK and was completed in 1876 by the Midland Railroad Company after six years of work. Widely accepted as being one of the best-engineered mainline tracks in England, the line is visually dramatic and offers a truly great rail journey. 4th May 2019 $1,365 Please call for availability. Enter your details below if you would like to be notified when 2020 dates and prices are available for Yorkshire & Northumberland.